Sunkist vitamin supplements are produced by WN Pharmaceuticals Inc., one of North America's fastest growing supplement manufacturers. In their bright, colorful labels, Sunkist vitamins, chewables, and specialty products are tested, trusted and effective. 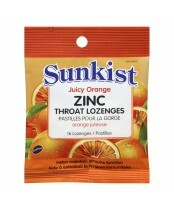 Sunkist products also come in many forms to appeal to every member of the family.